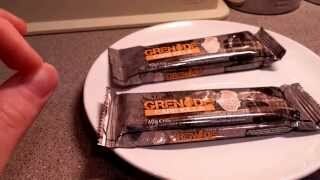 What are Grenade Carb Killa Protein Bars? 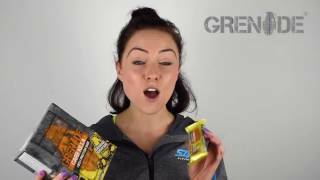 Fitness Savvy took a look online and discovered 2,945 customer reviews of the Grenade Carb Killa Bars. Overall, these protein bars scored 4.5 out of 5. Customers were pleased with the great taste, high fibre content and range of flavours, however, they are not suitable for vegetarians and vegans, and are not gluten free. I ordered these protein bars, not realising they are not suitable for vegetarians. And yes, you’ve guessed it. I’m a vegetarian, or at least, I was! No. I did none of those things. I ate them. Yes, there, I said it. I ate the rest of the box. I don’t really need to go on with this review, really, as this should say it all. I’ve been vegetarian all my life – that’s 35 years. People said it would be bacon, or I’d cave in when I saw a “real steak”. It was none of these things. It was these demon bars, that tasted so bloody good that I had to eat more. I’ve just placed another order. We know you’re looking for cheap protein bars which taste, well, not cheap. In a world where low-carb diets reign supreme, finding sweet, satisfying and authentic tasting snacks can prove tricky. 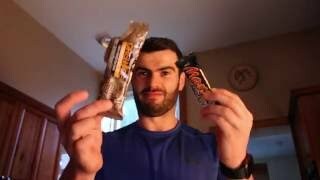 Don’t get us wrong – there are some great tasting protein chocolate bars on the market (mmmmmm, markets), but a compromise must be made between carb content and taste. But not anymore… Grenade appears to have detonated the theory that taste should be compromised when producing low-carb protein bars, and the shrapnel of evidence is their Carb Killa range. Boom! Carb Killa bars are produced using an “advanced baking process”, which creates a softer and crunchier protein snack. This also allows these low-carb, high protein treats to pack a massive 6.7 grams of dietary fibre per bar. And if you have any doubt as to the quality of these tasty treats, you will be glad to know that they are Informed-Sport approved and credited. If you’re looking for the best Grenade Carb Killa price, then you’re in the right place. At Fitness Savvy, we compare prices from top retailers including Amazon, Argos, Holland & Barrett and more. With prices changing every day, you should always check back with Fitness Savvy before you buy protein bars and snacks. We’ve also included discount codes and vouchers which might be relevant to this item. Check out the offers and deals below to see if you can get these cheaper. Well, actually, just about everywhere does them now. Even Sainsbury’s. However, if you are buying online, you will find lots of places selling them. They all have different deals on and it can be hard to keep track of who has the best price. That’s why Fitness Savvy was created. Simply hit the “back to top” button in the bottom right of the page to go compare prices. It is important to understand that these bars are NOT SUITABLE for vegetarians. This is because they contain hydrolysed beef gelatin. Carb Killa bars are also NOT GLUTEN FREE. However, the fantastic Carb Killa spread is both gluten-free and suitable for vegetarians. The thing which makes Carb Killa bars so special (according to Grenade) is the volume of low-impact carbs. Low-impact carbs (polyols) are still carbohydrates, however, they do not raise blood sugar in the way standard carbs do. This means they are allowed on low-carb and ketogenic diets. Grenade advertises Carb Killa bars as containing just 1.5 grams of “impact carbs”. However, depending on which flavour you choose, you will be taking in anywhere between 13.5 and 16.9 grams of actual carbohydrates. The important thing to note is that they should form part of a balanced diet. If you’re looking to lose weight, you are likely following a calorie-controlled diet. While calories are restricted, eating two 200+ calorie protein snack is still going to make up a sizeable chunk of your daily calories (for example, if you’re looking to consume 1,500 calories per day, more than 25% of your daily allowance will have been taken). As per Grenade’s own recommendations, stick to two bars per day, maximum. They understand this is hard, but they also note that they should form part of a balanced diet, not to be used as a substitute. Carb Killa protein bars are manufactured using polyols. Polyols are calorie-reduced carbs, which contain around half the calories of sugar. Excessive consumption of polyols might cause gas or laxative effects in some people. For this reason, it is advised not to eat more than two of these protein bars per day. The factory which makes Carb Killa bars makes other products, too. This means that they might contain small traces of sesame seeds, egg, and nuts. If you are allergic to any of these, you should check with the retailer before ordering. Product recipes, factories, and packaging change on a regular basis, so while this statement might be true at the time of writing, this might change. At Fitness Savvy, we look to make sure all the info on our website is up to date and accurate. However, packaging, item sizes and nutritional information might vary from supplier to supplier, so please make sure you check the retailer’s website to check nutritional info, flavours etc. Also, you should always read the labels of packaging. Otherwise, like me, you might end up eating half a box of something you shouldn’t be eating!